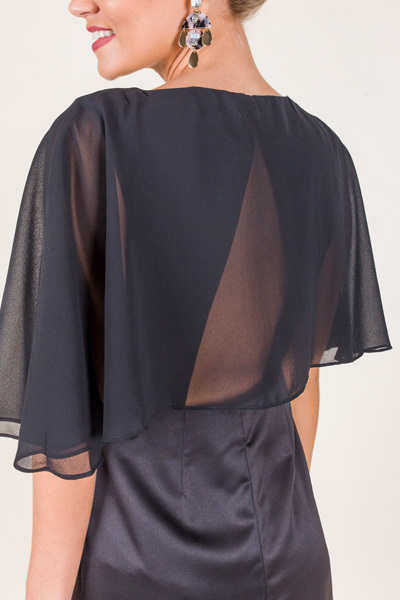 A classic silk dress, made modern with a chiffon cape feature! Dress has a classic shape, that is slightly tapered at the waist and straight through the bottom. Side zip.